If you consistently struggle with a red face, blemishes or tiny, spider-like veins on your face consider the possibility that you may have more than a persistent case of acne, especially if you have outgrown your teen years and are a thirty, forty or fifty something. You may have a condition called rosacea, a common skin disorder that is sometimes confused with acne. Over the years, rosacea treatment has focused anywhere from conventional antibiotic treatment to naturally balancing the gut flora. Rosacea is a progressive inflammatory skin disorder that causes facial redness and blemishes. For an estimated 16 million Americans, rosacea is a reality of everyday life. Rosacea used to be mistakenly referred to as “acne rosacea” or “adult acne” because of the similarity of some of its symptoms to acne. 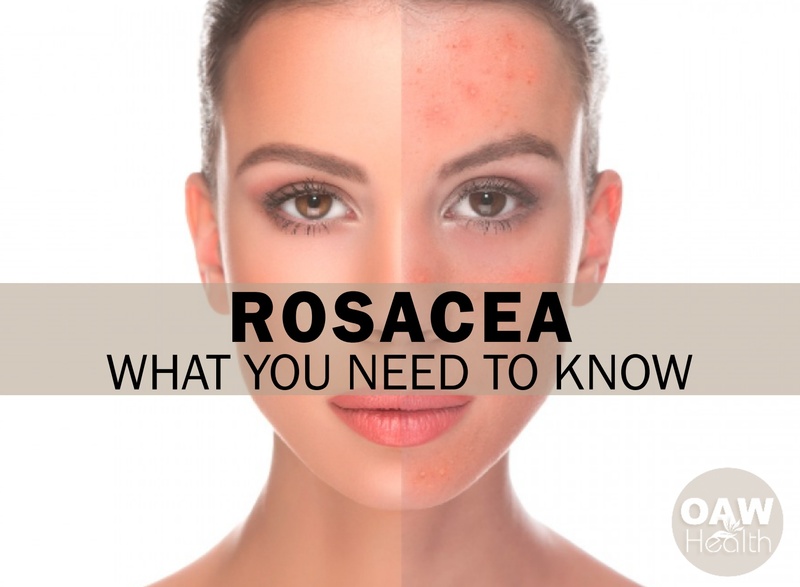 However, rosacea and acne are two distinct and separate conditions. The major difference between the two is that acne exhibits blemishes called whiteheads and blackheads, while rosacea does not. Some have likened the appearance of rosacea to sunburn. The characteristics of rosacea include a red face, flushed skin, pimples, and the appearance of tiny, spider-like veins on the skin (telangiectasias). Most symptoms appear on the face, but some people experience rosacea outbreaks on their back, scalp, arms, legs, and neck. The characteristics of advanced stages of rosacea usually include facial swelling and the nose may take on a bulbous appearance (rhinophyma). Rosacea is considered a chronic condition most often found in fair skinned adults between the ages of 30-60. It is thought to affect more than 16 million Americans. Women have a three times higher incidence of rosacea than men, but men’s symptoms tend to be more intense and more highly visible. In most individuals, rosacea is cyclic in nature, meaning that it can flare up for weeks or months at a time, and then disappear until the next episode. Tendency to easily blush or get flushed. Small red pimples or pustules on the nose, forehead, chin, and cheeks. These are not the same as the whiteheads or blackheads that are associated with acne. The appearance of spider-like blood vessels on the nose and cheeks (telangiectasias). Large, visible and inflamed pores. Raised patches of skin called plaques. Bumpy texture of the skin. In the advanced stages, the nose appears red and bulbous (rhinophyma). Approximately 50% of rosacea patients experience symptoms related to their eyes. This is called “ocular rosacea,” and is often the first sign of rosacea in some, preceding the other symptoms. Telangiectasia (spiderous veins) may develop around the edges of the eyelids, resulting in chronic inflammation (conjunctivitis). Small bumps known as chalazions may also appear. These symptoms do not usually impair vision. However, in some cases the transparent covering over the lens of the eye, the cornea, can be involved. If this occurs, vision may be affected. Subtype 1 (erythematotelangiectatic rosacea) – Subtype 1 Rosacea (most common) is characterized by facial redness, flushing, visible blood vessels. Subtype 2 (papulopustular rosacea) – Subtype 2 Rosacea is characterized by acne-like breakouts and sensitivity (most common among middle-aged women); alongside persistent redness, bumps (papules) and/or pimples (pustules) are frequent. Subtype 3 (phymatous rosacea) – Subtype 3 Rosacea is characterized by swelling, fluid retention (edema), thickening skin (especially around the nose, or rhinophyma), redness and various symptoms from other subtypes. Subtype 4 (ocular rosacea) – Subtype 4 Rosacea is characterized by rosacea around the eyes. Bacterial: Antibiotics are commonly prescribed for treating rosacea, not because they are effective against bacteria, but because they have an anti-inflammatory affect. Since antibiotics seem to be helpful, this has caused some to speculate that bacterial infection may play a role in rosacea. Beyond that, recent research has pointed to a bacterium that is often responsible for causing stomach ulcers called heliobacter pylori. This bug causes chronic infections in the gastrointestinal tract, and some studies have linked it to rosacea as well. It is thought that the imbalance of the digestive system caused by heliobacter pylori is somehow a trigger for rosacea, but the process is not well understood. Hypochlorhydria: Here is another link to digestive function. Hypochlorhydria is a condition that results in reduced production of gastric acid, commonly known as digestive juices. It is thought that a reduction of digestive juices may contribute to an increase of toxins in the body, which in turn triggers rosacea. Many people with hypochlorhydria also suffer from brittle fingernails and hair, and constipation. A decline in gastric acid levels is normal for many people as they age, but it may also be brought on by emotional issues such as stress, anxiety, and depression. The solution for hypochlorhydria, and the resulting rosacea symptoms, is supplementation with hydrochloric acid in order to increase stomach acid. Use of a quality probiotic along with the hydrochloric acid is also recommended. Interestingly enough, hydrochloric acid supplementation is also used as an alternative therapy for fighting acid reflux. Despite what the purple pill antacid commercials tell you, acid reflux is often caused by too little stomach acid, and not by too much. I’m a little bit off the point here, but this is information you need to know. Food Allergies: Studies have shown that when certain foods are eliminated from the diets of rosacea patients, their symptoms improve or in some cases disappear altogether. A good place to start investigating what might be triggering your own rosacea would be to try avoiding any foods you may have been allergic to as a child. Many folks have discovered that their consumption of yeast contributes to their rosacea. While on the subject of diet, it’s a good idea to avoid any food or beverage that causes your blood vessels to dilate. Some examples might be alcohol, coffee, tea, caffeinated sodas, or overly spicy foods. You might look forward to Uncle Joe’s nitro chili every year at the family reunion, but for the sake of your rosacea, you’d be better off staying away from it. Parasites: There is a tiny mite called demodex folliculorum that has been found in the skin areas of patients affected by rosacea. While Demodex folliculorum are found on the skin of all humans, they frequently occur in greater numbers in those with rosacea. It is thought that these critters may take up residence in the hair follicles, and clog up the sebaceous glands. There has been much discussion as to whether or not they actually cause rosacea. Evidence appears to be mounting that an overabundance of Demodex may possibly trigger an immune response in people with rosacea, or that the inflammation may be caused by certain bacteria associated with the mites. Demodex folliculorum‘s true connection to rosacea may be linked to a distinct bacterium associated with the mites, called Bacillus oleronius. In a study funded by the NRS, Dr. Kevin Kavanagh and colleagues at the National University of Ireland-Maynooth found that B. oleronius stimulated an inflammatory response in 79 percent of study patients with subtype 2 (papulopustular) rosacea. Sun-damaged skin: Many rosacea patients seem to have allowed themselves to be over exposed to the sun. This common plight has led some to believe that this may be a contributing factor in rosacea. Gut Related Issues: Research has found an link between certain skin disorders — rosacea, acne, dermatitis and psoriasis — and inflammatory gastrointestinal tract issues. An overactive immune system that causes autoimmune reactions might be an important contributor to both skin and digestive issues, including leaky gut syndrome, ulcerative colitis, SIBO symptoms, celiac disease and Crohn’s disease. People who suffer from these digestive concerns show higher levels of immunoreactive neurones in tissues and blood vessels that activate the inflammation process. This inflammation has the power to modify the structure of microbial (bacteria) populations that normally colonize the skin, protecting it from damage, redness and rashes. Alcohol does not cause rosacea: One of the slang terms for rosacea used to be “Brandy Nose,” based on the misconception that drinking excessive amounts of alcohol causes rosacea. Alcohol may cause the face to be flushed and definitely can make an existing case of rosacea worse, but it does not cause it. You can be a teetotaler and still suffer from rosacea. Hot baths, showers, saunas, or whirlpools. Extreme temperatures, both hot and cold. Certain medications, such as corticosteroids and some blood pressure medicines (they dilate the blood vessels). High blood pressure (hypertension) is a rosacea trigger for many people. Some medications used to treat high blood pressure and other cardiovascular diseases can cause rosacea flare-ups. 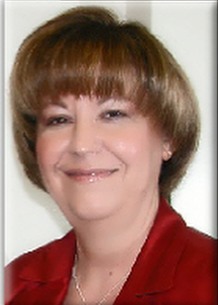 For example, vasodilator drugs may cause concerns with rosacea. Over-the–counter skin care products which contain abrasive chemicals such as acids and alcohol. Caffeinated drinks and overly spicy foods. What Rosacea Treatments Are Available? Use a high quality probiotic. Determine if you have any food allergies or other allergies that may be contributing to your rosacea. 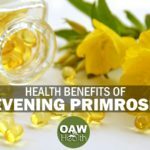 A high-quality quercetin supplement with added bromelain can help with rosacea. Quercetin is a flavonoid (plant pigment) found in fruits and vegetables, especially onions, apples, and citrus fruits. Quercetin is also found in olive oil, dark berries and grapes. Red wine and green tea have also been shown to include notable amounts of quercetin. Keep your gut healthy. Perform a digestive tract cleanse 2-3 times yearly. Ask your dermatologist to check for the mite demodex folliculorum. Avoid any irritants such as skin cleansers and soaps that contain chemicals which can aggravate your rosacea. Always use natural skin care products. Practice common sense about being in the sun. If you will be in the sun more than 30-45 minutes at a time, use a non-toxic sunscreen. Eat a healthy, plant-based diet, staying away from excessive spiciness. Stay hydrated. Drink lots of purified water every day. Some folks have seen improvement in rosacea by taking a vegetarian B12 supplement. The alternative is to go with what mainstream medical is pushing, and frankly, they offer some pretty scary options. Antibiotics: Long-term use (sometimes ongoing) of oral antibiotics such as tetracycline is one of the most common recommendations from doctors. I don’t even like to use a ten-day course of antibiotics, much less long-term. The thought of taking these drugs for months or even years is ludicrous. The overuse of antibiotics has led to many strains of bacteria that develop immunity to them. Not only that, but they cause many other side effects which can range from relatively minor to extremely serious. Tetracycline has been identified with: increased yeast infections, such as candida, nausea, vomiting, diarrhea, headaches, and visual problems. It is also linked to more serious conditions such as systematic lupus erythematosus (a chronic inflammatory disease), enterocolitis, and pancreatitis. Surely there must be a better way to treat illness than to expose the body to such risks! Isotretinoin: This drug is a powerful and dangerous medication that contains a very harmful form of synthetic Vitamin A. Even the FDA puts a short leash on this one. In order for any woman of child bearing age to use isotretinoin, she must agree to a strict federally mandated monitoring program. The drug has been clearly linked to severe birth defects in children whose mother has been using it. It is very dangerous for a woman to be pregnant or become pregnant while taking isotretinoin. If it was me, I think I would rather live with a relatively harmless skin disorder than to expose myself or my child to such risks. But the list of possible harmful side effects goes far beyond birth defects. It includes: hearing loss, hair loss, liver disease, mood swings, muscle pain, arthritis, visual disturbances, and an increased risk of teen suicide. If your health provider is not informed enough to avoid prescribing tetracycline in combination with isotretinoin, you can add intra-cranial hypertension to the list. It seems like the madness never ends. Since inflammation that appears on your skin can be a clue that you’re experiencing inflammation within your gut, identifying food triggers is an important first step. The best way to tackle rosacea at its root is to approach your diet in a different manner such as focusing on anti-inflammatory foods and removing common allergens (at least temporarily to track reactions) can make a huge impact on skin disorders by positively affecting gut health and getting rid of yeast and bad bacteria. Other things you can do is to wear a non-toxic sunscreen every day; use natural skin care products; control your stress levels; try natural supplements and herbs that help with inflammation, speed-up circulation and fight bacterial growth. If you are suffering from rosacea, I highly encourage you to look for things you can change to get your lifestyle under better control. Your skin health will improve as you begin to get healthy from the inside out. Just take it one step at a time. Are you incorporating exercise and consuming a plant-based diet in your life every day? Would making some important lifestyle changes help you experience better skin health and over-all health? When was the last time you cleansed your body? Often these are important factors in experiencing optimum health and wellness, but not always. 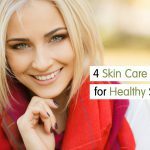 At any rate, if your current lifestyle choices aren’t putting your skin health where you desire it to be, I suggest making a decision to further check out the health information in this article and others at www.OAWHealth.com. 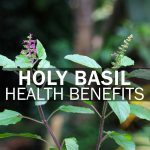 Dealing with everything that comes with being unhealthy and unwell is not easy, but the good news is that any health situation can be improved and even eliminated. You are also only one decision away from beginning a journey that could change not only your health, but your entire life! I wish you much success! Skin microbiome and skin disease: the example of rosacea.